Darts, dartboards, electronic scoreboards and all darts accessories. 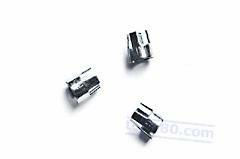 Set 3 “Yeoman Crown clips”. SET 3 TUNGSTEN BARRELS 16G. 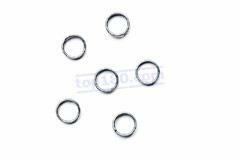 Set 3 tungsten barrels 16g. The barrels are sold loose. Bag 6 stem springs for nylon shafts. 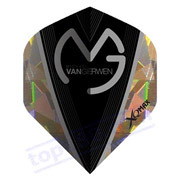 Confezione 5 tris alette Michael Van Gerwen Multi Pack. Set 3 Metronic flights “British Bulldog”. Set 3 Harrows Gyro shafts. Set 3 alette Pentatlon TDP Lux standard Orange 100 micron. Set 3 Pentathlon flights tear drop. Set 3 alette Delta Black Mary. Set 6 plastic flight protectors. Protects your flights from incoming darts. Set 3 alette Alan Norris. Set 3 alette Michael Van Gerwen Broken Glass. SET 3 FRECCETTE SOFT ZAGATO 18G. Set 3 freccette soft Zagato 18g. 90% tungsteno. Comprende le alette, le astine, le punte e il porta-freccette nuovo della Winmau in alluminio. Set 3 Poly flights Nut Case. Set 3 Harrows Graflite flights standard. Set 3 Metronic flights “Cat”. Set 3 alette 100 micron White Butterfly. SET 3 FLIGHTS 100 MICRON F.I.G.F. Set 3 flights 100 micron delta shape F.I.G.F. Set 3 alette Winmau kite specialist player. Set 3 Top Spin shafts medium. Set 3 Shell flights standard. Iridescent. Set 3 Butterfly shafts with springs. L.48mm. Set 3 British Pentathlon flights blue. Set 3 Metronic flights “Confederates”. Set 3 flights 100 micron Freccette and Darts. Vieni a trovarci in negozio, potrai disporre di una pedana regolamentare per provare le freccette! su appuntamento, al giovedì in orario 10.00/12:00-17:00/19:00.